The season for mailing annual holiday cards is fast approaching. Of course, you want to send friends and family a unique and memorable holiday card, but finding the right one, adding a handwritten note, addressing it, stamping it and getting it to the post office may take more time than you have this busy season. Fortunately, you can go online for a new way to mail out custom holiday cards. Shutterfly is our favorite holiday card mailing service. You may know Shutterfly for its custom photo gifts, but the company also prints custom cards for every occasion. You'll find lots of design options, including postcard-style cards and folded cards in a range of styles (more than 700 to choose from). Upload family photos (from Google Photos, Facebook, Instagram, your phone or computer) and customize the text for a greeting card that's your unique creation. You can even make your card really fancy by selecting foil cards, glitter cards and even the option to have your personalized text raised and illuminated with gold foil. You can choose for Shutterfly to mail your cards directly to your recipients. You'll have no envelopes to address or stamps to lick. If you import your holiday card list from Outlook or a CSV file (a save option for Excel and Google Docs and an export option for Google Contacts), you won't even have to type in mailing addresses to get your cards to their destination. Note that mailing is NOT an option if you choose the cheaper Photo Paper "Type" of paper when you're designing your cards -- even though it says "stamp and mail for me" under the "Mail Options." Pricing varies depending on the card you select, the design elements you want and how many cards you're buying. Card designs start at $0.40 per card (if you buy hundreds of cards), but expect to spend closer to $1.50 to $3.00 per card plus an extra $0.55 to send them domestically (add $0.21 for 5 by 5-inch cards). That's more expensive than store-bought greeting cards, but it saves you the trouble of running to the post office. Shutterfly also has free apps for iOS and Android where you can also design your card easily with the photos you've taken with your phone. And, Shutterfly is offering free unlimited 4 x 6-inch prints and a free photo book per month, but only through the app. Sincerely's Ink Cards is only app (free on App Store and Google Play), no website. 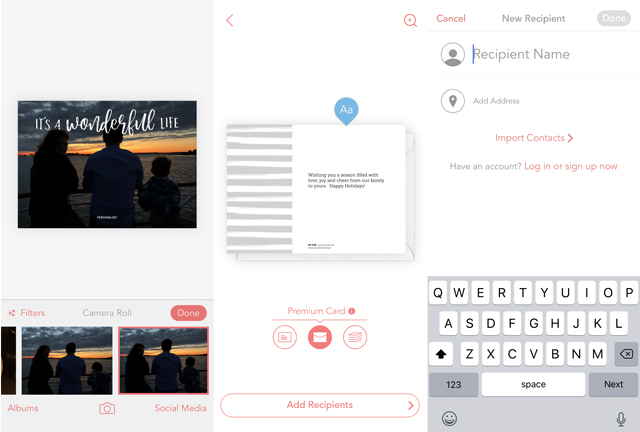 It lets you customize cards with images straight from your phone and have them mailed directly to recipients. Sincerely Ink offers fewer card options (500 total cards with 49 holiday-theme designs) than other services, and it limits you to creating cards on your smartphone. But the pricing — $2 per card or $3 for sending internationally — can't be beat. 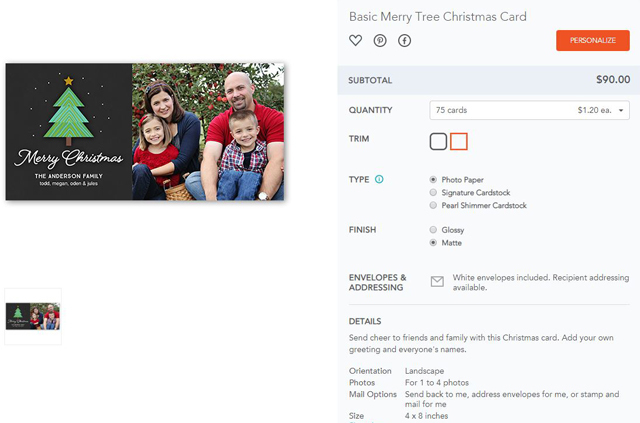 Another low-cost option with hundreds of holiday card options is Postable (only a website). They offer postcards starting at $1.49 and cards starting at $2.99. 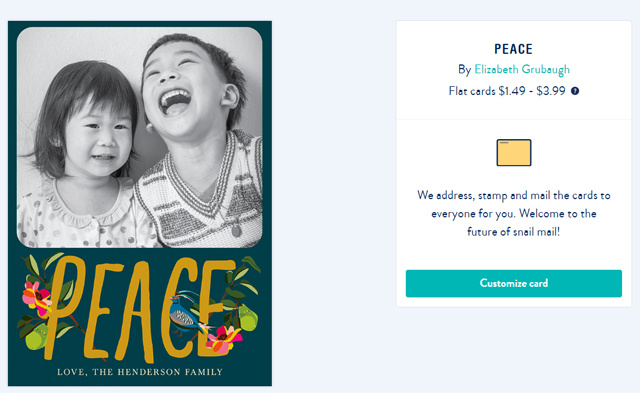 If you want Postable to send your cards, you just add postage — $0.35 for postcards ($1.15 internationally) and $0.50 for cards ($1.15 internationally). Postable can import your contacts from a spreadsheet or you can enter them manually. You can even send out a request for people to verify their addresses. Postable has a variety of fonts to choose from, including a few that look like real handwriting. 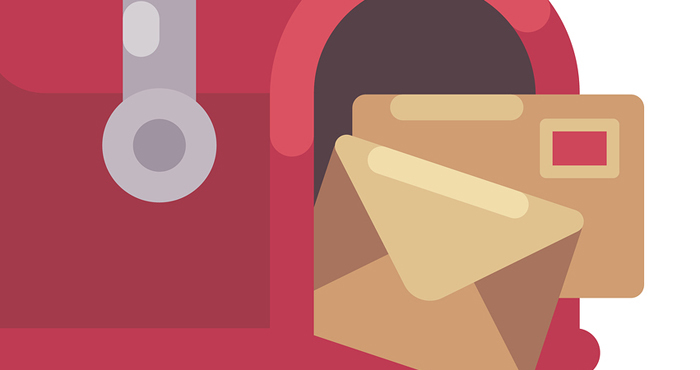 Postable mails all your holiday cards for you. Easy peasy. I’ve actually heard a lot of good things about Shutterfly recently! However, I prefer to work with a local company. This way I don’t have to worry about my cards being lost in the mail! This article is what started all my troubles. I opted to go with Shutterfly despite their glitchy website and incomplete directions because this article claims they are your favorite. I wasted days and days figuring out why I couldn’t upload my address file of 200 addresses. Technical hurdle after technical hurdle and I finally put the cards in my shopping cart. But wait, where is the mailing option? Oh, it’s NOT AVAILABLE FOR PHOTO CARDS? Very, very important detail you left out here. Very misleading. Sigh. Should know better than to trust the internet. here's the info buried on the shutter fly site. So sorry for your trouble! So sorry for your trouble! We’ve ordered from them without a hitch, which is why it was selected as one of our favorites. We didn’t choose a photo card, though and didn’t catch the paper type issue in our fact check. Agreed that the Shutterfly site is misleading. I will send a note to Shutterfly regarding this issue and I will add a note about the paper types in the story. Thanks for the heads up! To import your addresses, sign-in to your account and go to the “Address Book” page. Click the “Import” button and you will have several different options for importing your contacts to Shutterfly.